Each month, Mid-Atlantic Surgical Systems makes a charitable donation by randomly selecting an employee to choose a cause that is important to him or her. Please scroll below to view the donations we’ve made. The Martha Fund was created in memory of the heroic life of FBI Special Agent Martha Dixon, who made the ultimate sacrifice in the line of duty. The Martha Fund’s primary fundraiser, Martha’s Run, and other donations are used to serve children by building or renovating playgrounds in Martha’s memory. Donations have totaled over $100,00, and projects include the Holy Family Institute playground, the Bird Park playground, the Jefferson Elementary School playground, the Holy Rosary Elementary School playground, the Edgeworth Elementary School playground and the renovation of Dixon Field. 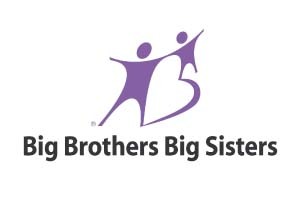 The Children’s Home of Pittsburgh is an independent, non-profit licensed organization whose purpose is to promote the health and well-being of infants and children through services which establish and strengthen the family. 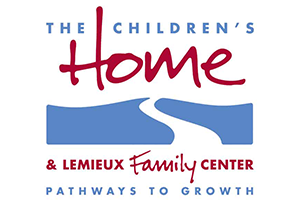 Their three programs: Adoption, Child’s Way, and the Pediatric Specialty Hospital, along with free housing for patients and families in their onsite Lemieux Family Center, work independently and collaboratively to accomplish their mission. The Theodore Roosevelt Conservation Partnership helps create federal policy and funding solutions by uniting partners and amplifying the voices of American sportsmen and women in service of Theodore Roosevelt’s conservation legacy. Ronald McDonald House Charities of Pittsburgh and Morgantown is dedicated to improving the health and well-being of children. This is why they provide the opportunity for families to be by their child’s bedside as they face life-saving medical situations. They know that keeping families together is better for everyone. The Beaver County YMCA holds the Annual Giving Campaign to raise money for meals and scholarship opportunities for the community. The YMCA was a big part of Andrew’s childhood and now his wife is involved with running this campaign. Race to Erase MS is dedicated to the treatment and ultimate cure of Multiple Sclerosis. Funding research is the core focus of the Foundation. This nationwide collaboration of physicians and scientists are on the cutting-edge of innovative research programs, working as a team on therapeutic approaches to eradicate MS. In addition to combating MS through research in a clinical environment, Race to Erase MS hopes to increase awareness by educating the public about this mystifying disease. Each December on National Wreaths Across America Day, their mission to Remember, Honor and Teach is carried out by coordinating wreath-laying ceremonies at Arlington National Cemetery, as well as at more than 1,400 additional locations in all 50 U.S. states, at sea and abroad. 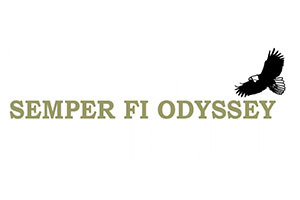 Semper Fi Odyssey is a six-day, holistic transition-assistance event with a curriculum designed to get participants ready for life after military service while preparing them for success. Retreat sessions have between twenty-five and thirty-five participants attending. All participants will be grouped into teams of three to five and each team is assigned a Team Leader that is committed to each participant’s individual progress. Their veteran Team Leaders, many of whom have walked in the same shoes as the participants, are carefully screened volunteer business professionals who have successfully transitioned out of the military and into the civilian workplace. The Autism Society of Pittsburgh advocates for the rights of those with autism to a free and appropriate education, appropriate care and treatment, and the rights of parents and families to obtain appropriate services for their family member with autism. They seek to enhance the effectiveness of existing programs by providing a forum for continuing education and the exchange of new ideas and approaches. The Pittsburgh Corntoss Challenege will directly support ALS research at the ALS Therapy Development Institute (ALS TDI). Currently, the Institute has a potential effective treatment for ALS called AT-1501, but needs financial support to enter FDA trials while continuing their other research. Additionally, ALS TDI runs the Precision Medicine Program, which collects patient data for use in research and allows those patients access to their own data. The purpose of the EPYFL is to provide a competitive youth football program for student-athletes ages 6-13. Their coaches are volunteers that are passionate about the game of football and developing the youth to instill work ethic, persistence, excellence and a proper perspective and winning and losing. K9s For Warriors is the nation’s largest provider of service dogs to military veterans suffering from Post-traumatic Stress Disability, traumatic brain injury and/or military sexual trauma as a result of military service post-9/11. They provide veterans with a service canine, equipment, training, certification, seminars, legal instruction, vet care, housing, home cooked meals, unconditional love and listening, and life-time of wrap-around services (including available life-long healthcare and food for their dogs). This cause is particularly important to Josh because his Mother and Aunt have been diagnosed with Lupus. The Lupus Foundation of America is the only national force devoted to solving the mystery of lupus, one of the world’s cruelest, most unpredictable, and devastating diseases, while giving caring support to those who suffer from its brutal impact. We envision a life free of lupus. Our mission is to improve the quality of life for all people affected by lupus through programs of research, education, support and advocacy. Family House provides a special “home away from home” for patients and/or their families who are in Pittsburgh seeking medical treatment. By offering convenient, affordable housing in a home-like environment, Family House reduces the emotional and financial stress for people facing a medical crisis in a city where they may be strangers. When Nate’s mother-in-law had a kidney transplant, they were a great help to his family and, in turn, Nate would like to help them. fforts go to this great cause. tted to matching the donation of every Arthrex corporate employee. Young Life leaders log many hours with kids around the world — where they are, as they are. Leaders faithfully aend football practices in the Minneapolis suburbs, mingle with teenagers at a mall in Stockholm and play pick-up soccer with former child-soldiers in Liberia. They listen to their stories and learn what’s important to them because they genuinely care about their joys, triumphs, heartaches and setbacks. Young Life believe in the power of presence. Kids’ lives are dramatically impacted when caring adults come alongside them, they begin to see that their lives have great worth, meaning and purpose. Compassion International prides itself on being the leading authority in holistic child development through sponsorship. is means they begin, in some cases, with prenatal care and go all the way through leadership development for qualified young adults. They take a long-term approach and go beyond simple involvement in the lives of the children and families they serve. tt Foundation, Pelotonia is able to direct 100 percent of every rider-raised dollar to cancer research at The Ohio State University Comprehensive Cancer Center – James Cancer Hospital and Solove Research Institute. ffect us all. When you give to Passavant Hospital Foundation you support the growth of our hospital and the health of our community. ey invest the money they raise into organizations with years of experience to build sustainable, community-owned water projects around the world. Their team works closely to ensure that every dollar is accounted for and then provides reports back to our donors. er, and be their best self. Arthrex’s National Sales Manager for Distal Extremities, Jim Saylor. The Wounded Warrior Foundation's mission is to raise awareness and enlist the public's aid for the needs of injured service members. Their goal is to help injured service members aid and assist each other providing unique, direct programs and services to meet the needs of injured service members. The Wounded Warrior goal is to foster the most successful, well-adjusted generation of wounded service members in our nation's history. fracture fixation techniques and power tools. Our Pay It Forward program was setup to positively impact various local and national causes while giving back to our local communities.